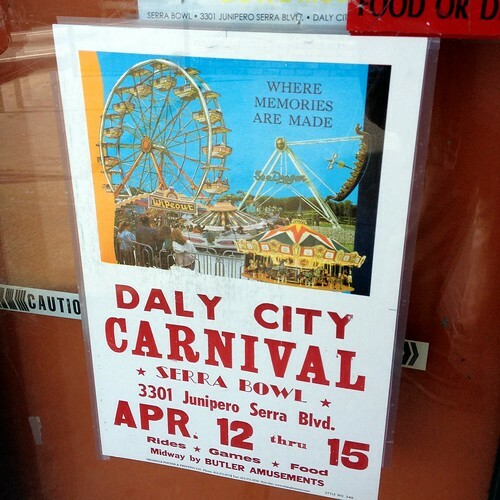 Akit's Complaint Department: Happy Sendoff for Serra Bowl's Last Days - A Carnival! Happy Sendoff for Serra Bowl's Last Days - A Carnival! Update (4/16/12): Serra Bowl is now closed. 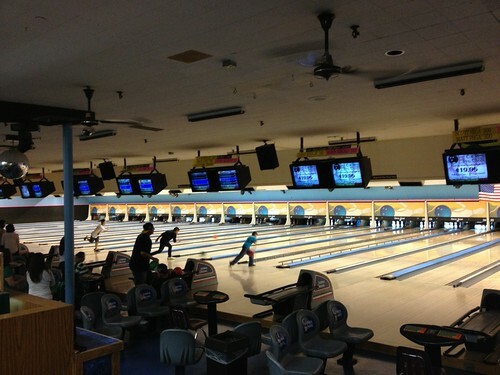 Read my blog entry about my last thoughts about the bowling center. In one week, Serra Bowl will close its doors on April 15th, and there's a lot of great memories for everyone that's been there. For me, it's being with my co-workers on the weekend to practice our techniques, and to compete with fellow SF State staff & faculty for the first ever league. A carnival will be at Serra Bowl's parking lot from Thursday, April 12th to Sunday, April 15th! Food, games, and rides; a nice way to say goodbye to Serra (and taunt the landlord living right next door). I'm not exactly sure how big this event will be and how it will have an impact on parking, consider taking BART to Colma and walk to the alley for it's final days. If you want to bowl on Serra's last days of service, I'd suggest making a reservation on their website to guarantee a lane. KPIX (Channel 5) News did a live report about the alley closing down. You can hear me yell "strike strike!" at 2:48 in the video, but I was watching the TV in the alley and there's always a live vs. TV delay. Also, I am suspecting the carnival was not Serra Bowl's idea. Someone informed me the folks at the alley doesn't even know the operating hours of it. Also, there's a security guard at the parking lot entrance of the alley asking drivers if they are going bowling or the carnival; if you say carnival, the guard will tell you to park somewhere else. Wow, didn't see anything about this carnival pop up on the news. I saw the ferris wheel not mention of it anywhere except on your flickr page. Thanks for the heads up. So sad Serra Bowl is closing.